← Somebody’s run out of funny sayings. I seem to be getting over my chimney fire phobia. I put in this new woodstove 23 months ago, and for two winters I feared really cranking it up which made it hard to keep lit at all. As everybody knows – and as everybody told me – once you get it good and hot it draws just fine but you’ve got to get it good and hot. Which in turn means you’ve got to build a nice enthusiastic fire in it, and after what happened in February 2012 that scared the hell out of me. I knew intellectually that there was nothing more to worry about. I cleaned my stovepipe regularly – indeed obsessively – but it didn’t help. A good roaring, crackling fire always made me lunge for the dampers. But so far this winter I seem to be over that. I’m cheating with commercial firestarters, which saves a lot of work in laying the fire, and only use juniper when the iron is already hot. And I get it good and hot to start, and so far that doesn’t send my little heart going pitty-pat the way it always did last winter and the one before that. Of course the new problem with that is what I’ve always known, which is that this stove can drive me right out of my little cabin. I don’t really want it 85o in here. save the roll from you toilet paper. Put some wood chips in it, fold over the ends and it makes a great firestarter. When camping, I always brought along small chunks of candle wrapped in wax paper as fire starters. Works surprisingly well. Joel you have every right to be concerned about fire in “the secret lair.” With what you stand to loose I’m amazed you sleep at all. If you don’t have one and can find (scrounge) one I would suggest that you get some sort of fire extinguisher in the lair. A simple old water pump tank extinguisher or a soda/acid fire extinguisher would be perfect. The recharge is simple, just fill the tank with water and for the soda/acid add some backing soda to the water and fill the glass container with a weak solution of sulfuric acid. One thing to stay away from are ABC and BC chemical fire extinguishers. The mess they leave behind after use is nasty and the BC will not work on wood.. The powder is so fine that anything electronic will be ruined. Wood burning stove can be a pain. You either have an airtight stove that is completely controllable (in regards to the draft), or a stove that isn’t. The airtight stove makes it easy to stop the fire from going out of control, but in doing so, creosote is produced, and lots of it. A “loose” stove is tougher to control, but is a bit less likely to to gunk up the stovepipe. Bother. I’ve had the stove in my last house so ho that the pipe AND stove were glowing, to no ill effect, but it is disconcerting. 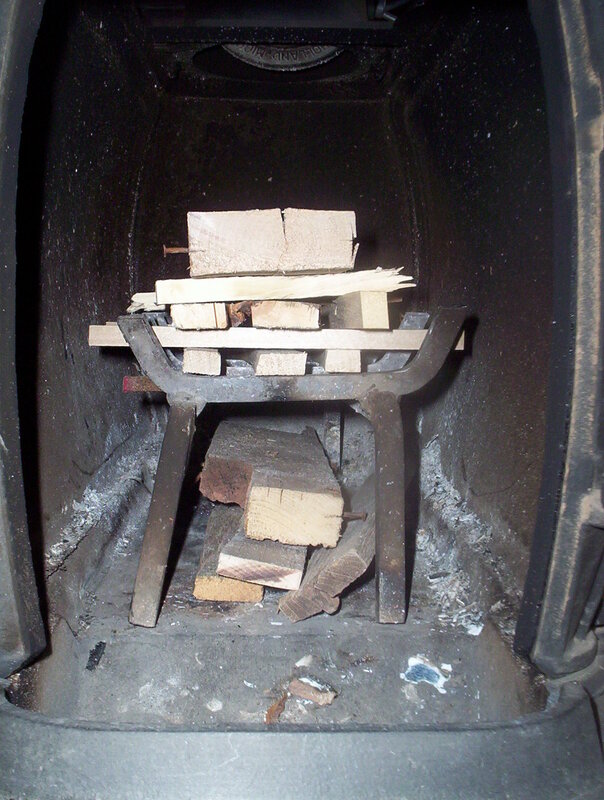 The trick was to load just enough wood to keep the fire going, but not enough to cause the red-hotness. The paperwork for my buckstove recommends 30 minutes a day of full fire (air inlets and flue both open) to cut down on creosote. It works.